We Want You To Scare The Hell Out Of Us! Today’s brew: Next stop: Starbucks! The holiday season is the season of giving. Of course, most people think of scarves, cookies, goodwill to man, and all that jazz. Kristen and Julie have a different idea. We want you to give us the scare of the season! December will be Nightmare Before Christmas Month at Deadly Ever After. So how can you give to this cause? We want you to submit your short horror stories to be shared on this very blog. We just ask that you keep them to under 1000 words and that you scare the living daylights out of us! Send your submission to undeadduo (at) hotmail (dot) com. Subject line: Nightmare Before Christmas. Depending on the number of responses, we may choose select stories. Please submit between November 25 and December 10, 2012. Also include your blog address, so we can lead readers back to the source of the madness! Stories will be posted between December 1-25, 2102. Don’t say we never gave you anything, dolls. I’m just letting you know I nominated you for the Very Inspiring Blog Award. 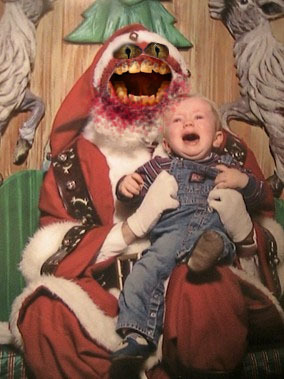 We would be delighted if you would share your personal favorite for our Nightmares Before Christmas month, starting in just a few days! E-mail us at undeadduo@hotmail.com!